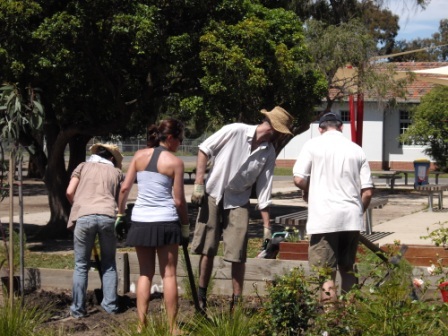 Now that the school year has closed for 2010 and we start to unwind and prepare for the festive and summer holiday period with family and friends its an opportune time to sit back and reflect on the last month or so of frenetic activity. I happened upon a few photos on my camera to help me with these reflections. Forgive me if this reads like a list of achievements but in context it might show a few of the challenges leaders in schools face. Our school is going through a renewal phase with over 70% of the 2011 staff having been appointed to ongoing positions, contracts and promotion positions in the last 18 months. This often happens to schools who have had a stable staff for a long period – over 15 years. There are often a multitude of reasons behind renewal phases which I spoke about to the wider community though the school newsletter. I’m looking forward to 2011, the excitement of new ideas and perspectives and the induction and mentoring roles of our leadership team. My reflections around this interesting time, having chaired all the teacher selection panels, are around what else has happened? 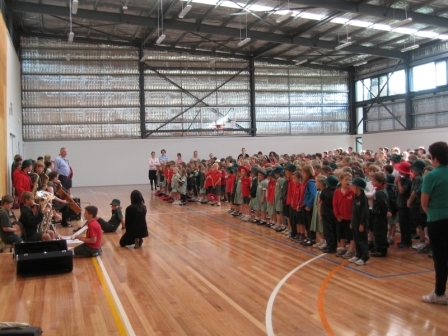 A photo of the first school assembly in the new gym and performing arts centre which was opened in October. 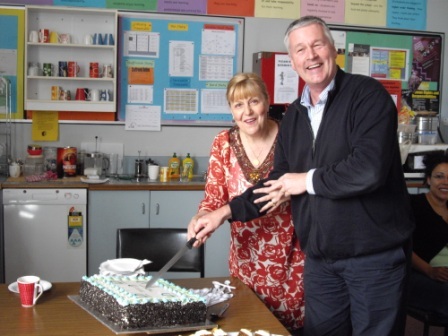 Our school cleaners retired after 17 years of dedicated service and through a tender process we appointed new cleaners in November. 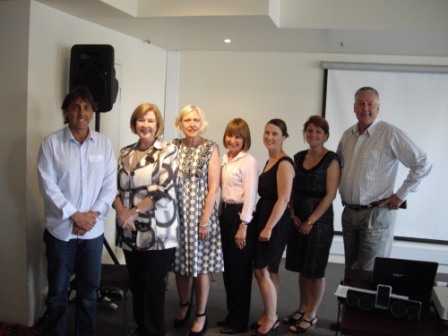 The regional Ultranet coaches who are based at our school acknowledged their welcome and support from our staff in their challenging role of implementing one of the largest online educational learning communities in the world. Three of our leadership team along with another local schools team made time to attend a day learning about how to introduce and sustain a coaching culture within a school. The usual graffitti in some of our new facilities [reality check]. Completed the last of our network Instructional Rounds, which means we have 6 Rounds in 2010. I think successfully completing a Masters at Monash University this year was a personal achievement as well. I’m tired and looking forward to a rest – 3 weeks at the beach with the family – so I won’t be posting much for the next few weeks. 3 weeks to read on the beach now that will be good. To all my colleagues and friends thanks for your support this year. I wish you all a festive season and to those Australian colleagues a great holiday. Previous Previous post: Neat way of showing data.